Job Harlan Hinshaw1,2,4,13,14,15,16 [Jobe Harlan Hinshaw1,9]. Born Mar 19 18411,2,4,5,6,7,9,14,16 [about 183915], Marlborough MM, North Carolina1,2,4,5,6,7,9,14,16. Picket, Elizabeth, age 50, born in North Carolina; keeping house; $1000 real estate; $250 personal property. Picket, Jarvis T., age 19, born in North Carolina; farm laborer. Picket, Eliza, age 16, born in North Carolina; attended school. Picket, William, age 13, born in North Carolina; attended school. Picket, Joshua, age 11, born in North Carolina; attended school. Picket, John, age 7, born in North Carolina; attended school. Hinshaw, Job, age 28, born in North Carolina; farmer. Hinshaw, Phebe J., age 22, born in North Carolina; keeping house. Hinshaw, William, age 8 months, born Sept  in North Carolina. Hinshaw, Job, age 39, born in North Carolina; parents born in North Carolina; farmer. Hinshaw, Phebe J., wife, age 32, born in North Carolina; parents born in North Carolina; keeping house. Hinshaw, William O., son, age 10, born in North Carolina; parents born in North Carolina; attended school; cannot write. Hinshaw, Franklin A., son, age 8, born in North Carolina; parents born in North Carolina; attended school. Hinshaw, Junius R., son, age 6, born in North Carolina; parents born in North Carolina; attended school. Hinshaw, Walter C., son, age 4, born in North Carolina; parents born in North Carolina. Hinshaw, Jobe H., head-of-household, age 59, born Mch 1841 in North Carolina; parents born in North Carolina; married 31 years; occupation: farmer; owned farm (mortgaged). 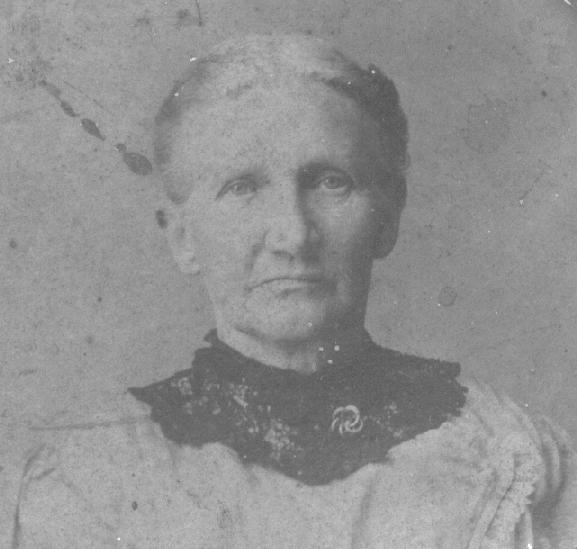 Hinshaw, Jane, wife, age 52, born Jun 1848 in North Carolina; parents born in North Carolina; married 31 years; 9 children, 9 living. Hinshaw, Walter, son, age 23, born Nov 1876 in North Carolina; parents born in North Carolina; occupation: day laborer. Hinshaw, Gurtrud, daughter, age 17, born Dec 1882 in North Carolina; parents born in North Carolina. Hinshaw, Martha A., daughter, age 15, born Oct 1884 in North Carolina; parents born in North Carolina. Hinshaw, Bertha E., daughter, age 12, born Jul [unclear] 1887 in North Carolina; parents born in North Carolina. Hinshaw, Bessie C., daughter, age 12, born May 1888 in North Carolina; parents born in North Carolina; attended school 4 months. Hinshaw, Emily J., daughter, age 9, born Aug 1890 in North Carolina; parents born in North Carolina; attended school 4 months. Hinshaw, Phebe J., head-of-household, age 61, born in North Carolina; parents born in North Carolina; widow; 9 children, 8 living; occupation: none; rented home. Hinshaw, Alice, daughter, age 25, born in North Carolina; parents born in North Carolina; occupation: inspector, hosiery mill. Hinshaw, Emily, daughter, age 19, born in North Carolina; parents born in North Carolina; occupation: knitter, hosiery mill. 1870 census, Asheboro P.O., Asheboro Township, Randolph County, North Carolina; roll M593-1156, page 281, line #29, dwelling #59, family #56-57. Indiana Marriages, 1845-1920; http://www.ancestry.com (Book C-6, page 39). 1900 census, Trinity, Trinity Township, Randolph County, North Carolina; roll T623-1213, ED 98, page 19B, line #1, dwelling #396, family #397. 1910 census, 1st Ward, High Point, Guilford County, North Carolina; roll T624-1114, ED 116, page 95A, line #15. U.S., Quaker Meeting Records, 1681-1994; http://www.ancestry.com. 1850 census, Northern Division, Randolph County, North Carolina; roll M432-641, page 190, line #19, dwelling #384, family #384. 1860 census, Ashboro P.O., Randolph County, North Carolina; page 149B-150A, line #40, dwelling #171, family #163.